We don’t often think about drinking tea as a sensory experience. Yet, when you have a glass teapot in your life, it’s hard not to. 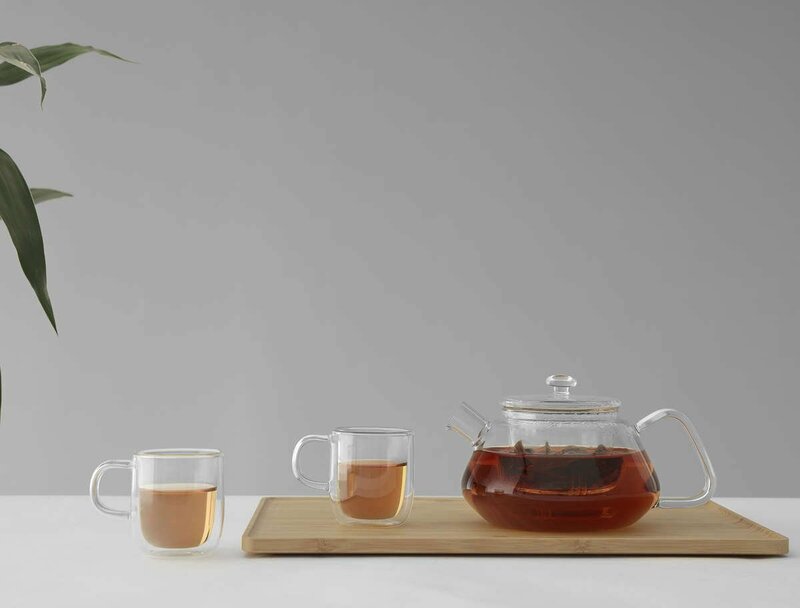 Enjoy the magic of loose leaf tea as you watch it brew to perfection in your Nicola teapot. Escape the day. Be enchanted. Size: L: 18.5 cm - W: 13.8 cm - H: 11.0 cm - Vol: 0.77 L / 26.00 fl. oz. Of course! The infuser can be removed for easy cleaning or to brew your tea directly in the body of the teapot. The choice is entirely up to you. How much tea does this teapot make? 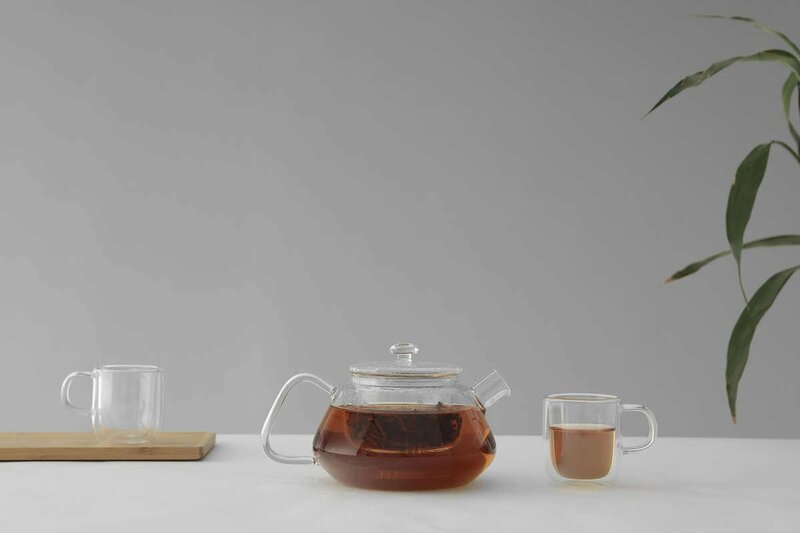 This 770 ml teapot will make three large cups of tea. It’s perfect to share with a friend or to indulge on your own. This teapot is ideal for all kinds of tea. We highly recommend using it for black teas, as the water transforms into a lovely golden colour. Green tea and floral tea also work particularly well. If you’re feeling adventurous, the glass infuser means brewing finer leaf teas like Japanese Sencha are also highly successful. The glass infuser is very easy to remove. 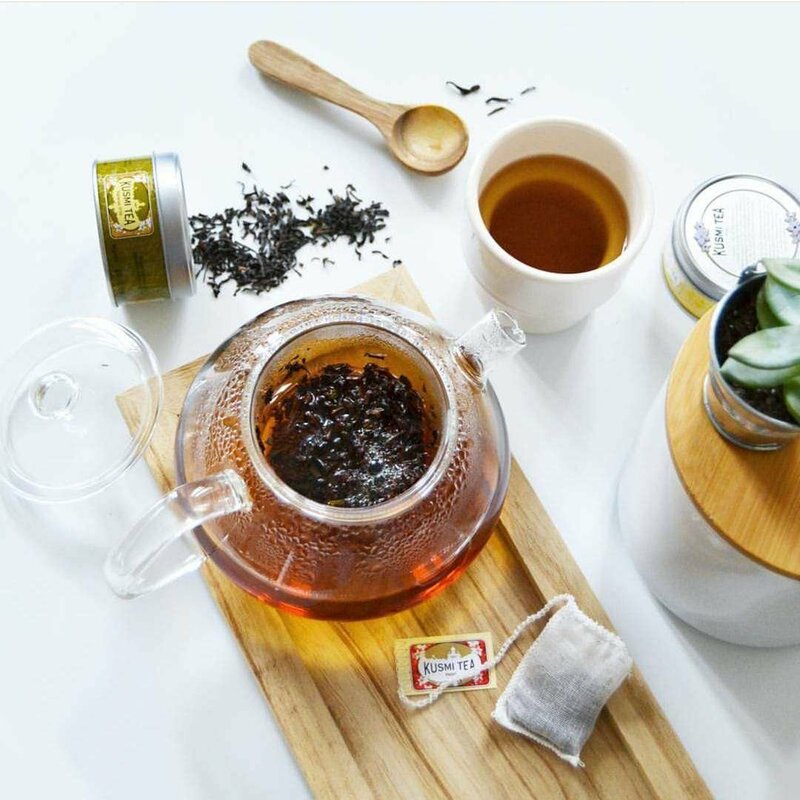 Simply lift it out when your tea is ready, replace the lid and pour with ease.